"Place was clean and the staff are nice." Have a question for Imperial Ridge Pension House? "Good location, okay as bed and breakfast." 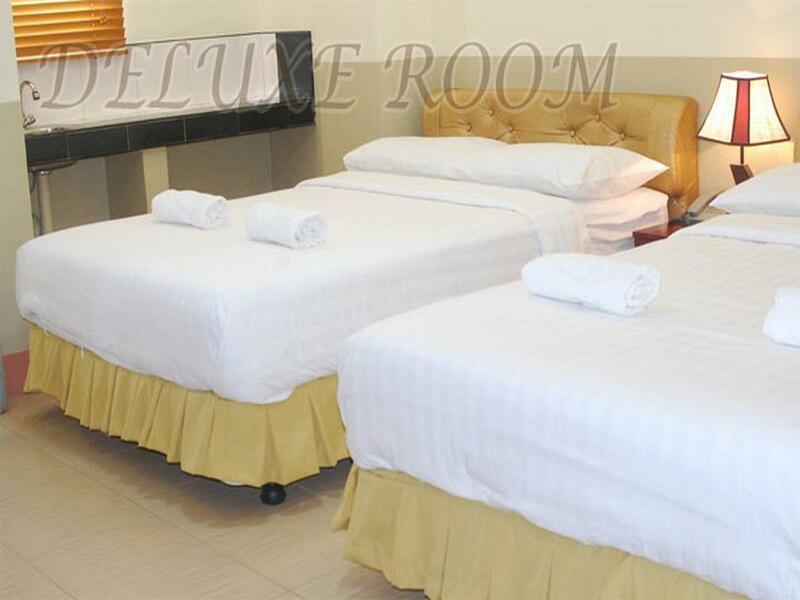 "We had a deluxe room for 4 pax for a cheap price Free breakfast was a plus!" "The place was near the airport and the pier." "All in all a great stay." 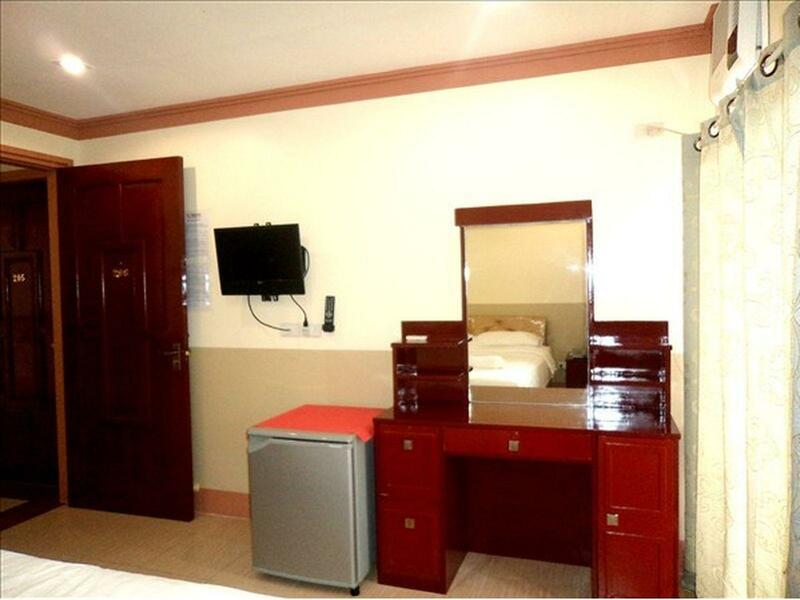 Nestled in the heart of Tagbilaran, Imperial Ridge Pension House is an ideal spot from which to discover Bohol. With its location just 7.3 km from the city center and 1.4 km from the airport, this 2-star hotel attracts numerous travelers each year. With its convenient location, the hotel offers easy access to the city's must-see destinations. 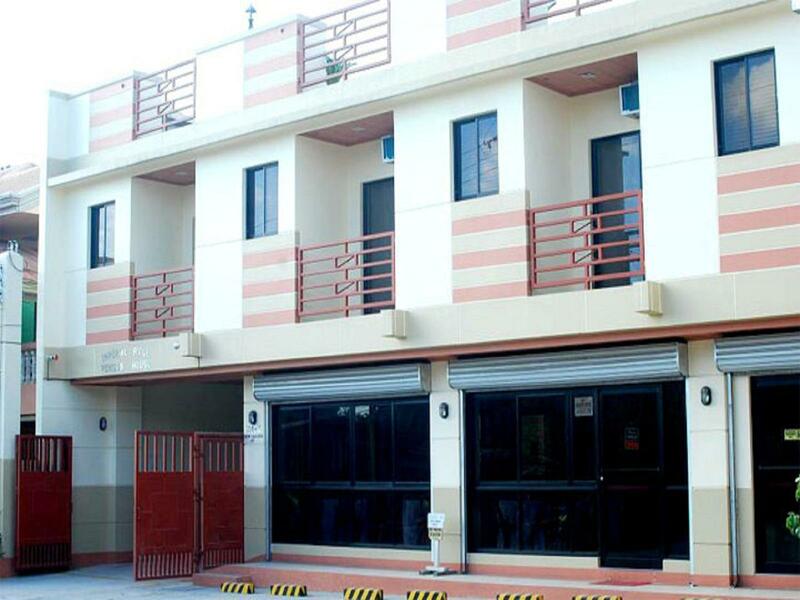 Imperial Ridge Pension House also offers many facilities to enrich your stay in Bohol. While lodging at this wonderful property, guests can enjoy 24-hour room service, free Wi-Fi in all rooms, 24-hour front desk, luggage storage, Wi-Fi in public areas. 11 rooms spread over 2 floors provide a warm and pleasant home away from home. Modern comforts such as television LCD/plasma screen, internet access – wireless, non smoking rooms, air conditioning, wake-up service can be found in selected rooms. Whether you're a fitness enthusiast or are just looking for a way to unwind after a hard day, you will be entertained by top-class recreational facilities such as massage, garden. With an ideal location and facilities to match, Imperial Ridge Pension House hits the spot in many ways. "Location wise there was a lot of trike passing outside the p..."
The room was nice and clean with a balcony (useful to dry our wet clothes! ), one « bad » thing was the bathroom, the water on the floor didn’t get away, not practical but it was a detail! What’s more the WiFi didn’t work in the room, only in the common area that wasn’t notice. This Pension House is near the old airport that’s why I booked it but I did not know that they already changed their airport location to Panglao. It is also near the port and you can reach the malls in downtown via tricycle in a few minutes. I LOVE THIS PENSION HOUSE. They provided us with toiletries, towels, good bed, functioning aircon, clean rooms and toilet, etc. I really have no issue with this pension house. Unless you are addicted to internet, wifi signal and LTE signal is very bad in the rooms so you have no choice but to stay in their lobby. My Mom traveled with her 2 best friends. She said that overall, they are satisfied with this accommodation as it is near every point where they intend to go, big and clean room and trust worthy staff. Very accomodating ang staff. Kudos! place was clean and the staff are nice. free breakfast was ok, would've been nicer if it was served warm. food was good. location wise there was a lot of trike passing outside the place and walking distance to the buffet restaurant. all in all a great stay. internet connection very slow. No air freshener in the room smells like the beddings old. Just a tricycle away from almost everything. Good location, okay as bed and breakfast. When we reserved, we requested for a ground floor room, they replied and said they already reserved the room for us. But when we reached the place, we were in second floor, no toilet flush, old aircondition, poor water pressure. Breakfast is good though. Dirty and itchy linens. Flooding of bathroom…. very desperate. We had a deluxe room for 4 pax for a cheap price Free breakfast was a plus! the place was near the airport and the pier. It was worth it! two thumbs up! No complimentary toothbrush and toothpaste so travelers should bring their own. The room we had is too hot we waited for about an hour to cool the entire room. Two thumbs up on the free breakfast. Don't expect much. You will get what you pay for so that means a very little inconveniences like a low water pressure sometimes but it gets back. The place is very easy to find and near the airport. It was a decent place to stay so don't expect a wow factor. The front desk staff informed us that the only available room was a more expensive room. So I insisted that it was available when I booked online? Don't know whose fault that was but hotel didn't insisted us paying more. Bathroom was dirty, we ran out of water a few times, heater did not work and room needs updating. What troubles me the most was that the bathroom (sliding) Windows couldn't be locked. Our room was on the ground floor. I could hear people outside. Transfer airport- hotel gratuit,attendu 20 minutes personne est venu. Hotel pas de wifi dans les chambres,réservation avec frigidaire dans la chambre attendu 15 minutes pour instaler le frigidaire,propreté très moyen robinet du lavabo bouché terrace dégueulace et pour finir le petit dejeuner pas bon.